Description: In volume 5 of Olympians, author/artist George O'Connor turns the spotlight on that most mysterious and misunderstood of the Greek gods, Poseidon: Earth Shaker. Thrill to such famous stories as Theseus and the Minotaur, Odysseus and Polyphemos, and the founding of Athens—and learn how the tempestuous Poseidon became the King of the Seas. Review: Poseidon is one of the few Greek gods who doesn't have a physical presence in mythology. We usually hear of him by the raging waters or his monstrous children, but never the actual god himself. The narrative style of his graphic novel follows this same train of thought. Instead of an overarching theme which was featured in the previous Olympian graphic novels that I read, Poseidon reads more episodic. He begins his story of how he came to rule the sea after the war of the Titans. There is palpable resentment and tension as Poseidon keeps a tally of the wrongs done by his siblings, particularly Athena who favored Odysseus rather than her brother (uncle?). He tells the gory stories of how the clever Odysseus injured Polyphemus and Theseus managing to survive the Minatour. While he may appear to receive the shorter end of the stick, Poseidon knows he can cause significant amount of damage and does so in several tales. 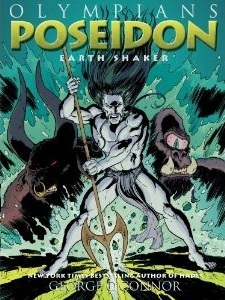 Unlike the other Greek deities that O'Connor drew, I didn't like how Poseidon was drawn. He looks like a mash up between Kung Fu master with his long, wispy mustache and Conan the Barbarian on steroids. I didn't picture him to be like that in my mind. While the plot jumps from story to story, it is easy to follow in the crisply drawn sequential panels. I do like how O'Connor makes his subject relatable by today's standard's of action heroes. 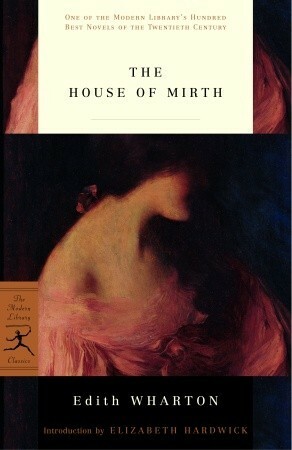 While this may not be my favorite book in the Olympians series, I did find it enjoyable. Words of Caution: There is strong, bloody violence on the PG-13 scale. Recommended for Grades 7 and up. 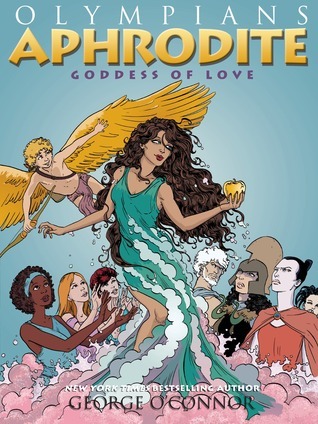 Description: In volume six of Olympians, graphic novel author/artist George O'Connor turns the spotlight on Aphrodite, the goddess of love. 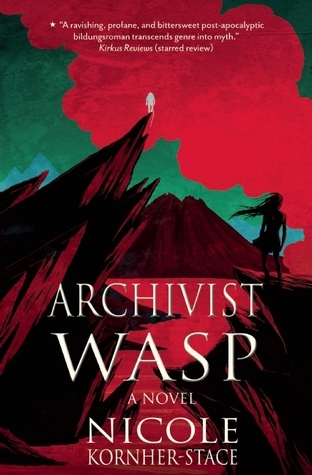 Look for the same thoroughly researched and wonderfully accessible comics storytelling as O'Connor tackles the story of the Aphrodite from her dramatic birth (emerging from sea-foam) to her role in the Trojan War. Review: I was really curious to see how O'Connor would spotlights the goddess of beauty and love in a kid friendly graphic novel. I thought he made a clever decision in emphasizing on power instead of sexuality in this solid addition to his Olympians series. Aphrodite's three attendants, the Charites, narrate a recap of the origin of the Titans and Olympians, leading up to the goddess's birth and highlighting that Aphrodite is essentially Eros embodied. After a series of shorter myths, various affairs and the introduction of Aphrodite's capricious son (Eros aka Cupid), the graphic novel concentrates on the beauty contest of the goddesses Aphrodite, Hera and Athena, judged by the mortal Paris. It was really cool to see how he problematic female stereotypes be pointed out by the goddesses themselves. They find the contest "beneath" them and "debasing" even while participating and re-frame the contest as one of power instead of beauty- each offering Paris either wealth, being a hero, or a chance to have one of the most beautiful women in the world. While there might not be a lot of action in this volume of the Olympians, there is a lot more tongue in cheek humor and great one-liners sprinkled in the story. This graphic novel shows Aphrodite's power in femininity and sexuality without being overt and crude. Words of Caution: There are sexual situations alluded to in the book that happen off the page which older children make understand. There is also some crude humor in the graphic novel as well. Recommended for Grades 7 and up. Darkly, Deeply, Beautifully Release Party: Cover Reveal + GIVEAWAY! 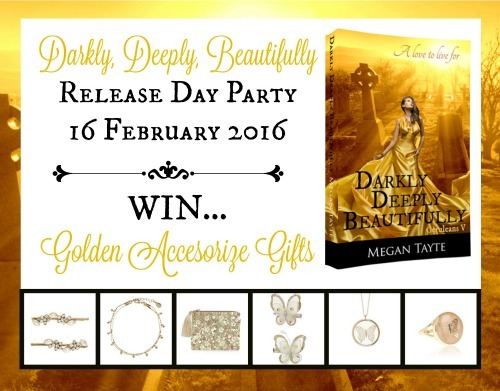 Today I'm happy to participate in the Megan Tayte's Darkly, Deeply, Beautifully Release Party. 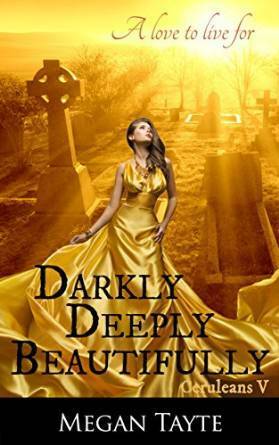 Darkly, Deeply, Beautifully is the fifth and final book in the Cerulean's series. If you enjoy reading YA paranormal romances, be sure to check this series out! Megan grew up in the Royal County, a hop, skip and a (very long) jump from Windsor Castle, but these days she makes her home in a village of Greater Manchester. She lives with her husband, a proud Scot who occasionally kicks back in a kilt; her son, a budding artist with the soul of a palaeontologist; and her baby daughter, a pan-and-spoon drummer who sings in her sleep. When she’s not writing, you’ll find Megan walking someplace green, reading by the fire, or creating carnage in the kitchen as she pursues her impossible dream: of baking something edible. In addition to the working on library duties such as teaching information literacy skills, ordering and cataloging books for my library's collection all of which I enjoy, I also get to embrace my creativity skills and demonstrate my love for reading by creating book displays in the library. My most successful book display so far has been Blind Date with a Book. 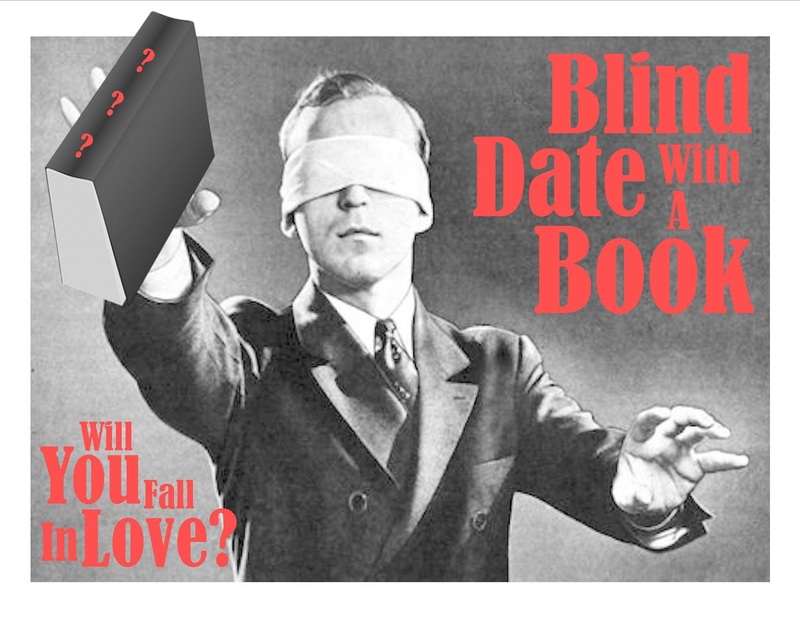 The Blind Date with a Book concept is not something I made up on my own. I have seen it done at other libraries and even bookstores, but I wanted to do this display to encourage readers and non-readers alike to pick up a book and read for fun. The objective of the book display is to get readers to think beyond the book cover and give a book a chance. You can create this display at any time of the year, but I usually do it in the month of February for Valentines Day. I thought it would be a good idea to a blog post on some tips on how to this display in case anyone else wants to do it at their school, library, or even as a blogging event (i.e. blog hop/giveaway). So let's get started! Give yourself plenty of prep time when you are creating this display. I usually start thinking about what books I want to highlight around the last two weeks of January. Browse your shelves for books that you feel have appeal to your readers (in my case, students) that might get overlooked because of the cover, boring book blurb, format (i.e. paperbacks vs. hardcovers, graphic novels, short stories, nonfiction), etc. Get a variety of book genres for this display. Remember your objective is to broaden your reader's taste. For my display, I had books from these popular book genres: realistic fiction, romance, fantasy, dystopian, science fiction, mystery, paranormal/supernatural. Do not use popular books or books by popular authors because they don't need help circulating. Do use readalikes for popular books to help guide you which books to use for this display. Remember your goal is to put less circulated items in front of your readers. Decide whether or not you want to write a "dating profile" for each book or put keywords of the book description. If you decide to write a profile: keep it pithy and eye catching without giving the plot of the book away. I found my students drifted toward short yet teasing profiles. 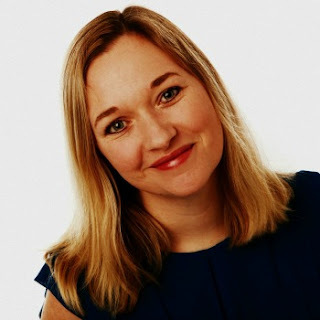 The most checked out blind date book was Blackbird by Anna Carey because of its profile. Here is what I wrote: You wake up on the train tracks in L.A. with no memory of who you are. A backpack is at your feet. Inside is a fresh set of clothes, one thousand dollars in cash, a phone number, and the instructions: Do not call the police. Who are you? How did you get here? What does that tattoo on your wrist of a blackbird and the code FNV02198 mean? Why are people trying to kill you? As you can see with the sample above, I focused on the main character's characteristics as well as the book's pace, topics. Use book reviews, the shelf labels from readers on Goodreads, or a library's database called Novelist to come up with your keywords and/or your profiles. Decide how you want to wrap your books. Do you want to make a sleeve for your book and just wrap the book cover or do you want to wrap the entire book like a present? What colors would you use? Last year, my coworkers and I created sleeves for the books which looked nice on our display case, but once students unveiled their "dates" most of them were bored and turned their books in right away. I wanted to keep the mystery a little longer and decided to wrap the entire book this year. I also wanted a neutral color so that boys would not be embarrassed looking at the display and carrying around their books. There are a variety of different styles of Blind Date book covers that I found on Pintrest, but after discussing it with my coworkers, we decided to use the Aussie bookstore, Blind Date with a Book, as our inspiration board to create our books. We ordered brown butcher paper type roll, festive baker's twine to give it some color, and tags from Amazon. Lastly, decide how you are going to check the book out to your patrons. Some libraries write down the entire barcode on the back of their dates. Others cut out the paper so the barcode shows. I didn't like either option so I took the long route and photocopied the barcodes of the books, making sure they scanned in our library software. Then I cut out the barcodes and pasted them on the back of the book. Though it took a few more minutes for me, we are able to check the books out right away! You might want to consider adding an incentive to the display. We are doing a raffle for a prize to every student who reads a blind date (1 entry per student). The prize hasn't been decided yet but we are thinking of doing a gift card to a local eatery. Creating a bookmark inside the blind dates and that ask students to rank their reading experience. Create a similar display for staff that would include eAudiobooks, eBooks, and print books. Do a Blind Date with a Book Banned Book edition for Banned Books Week. Have you created a Blind Date with a Book Display? If so, what other tips and tricks would you include in this post? Do you have any questions that I didn't address in this post? Let me know in the comments! If you are in the mood for a light and uplifting read full of friendship, love, and food definitely check out Jenny Colgan's Meet Me at the Cupcake Cafe. This is a perfect read when you want to escape into a book just for a little while. Description: Having grown up in an apartment above her Grandpa Joe's little bakery, Issy Randal has always known how to make something sweet. She's much better at baking than she is at filing, so when she's laid off from her desk job, Issy decides to open up her own little caf . But she soon learns that her piece-of-cake plan will take all her courage and confectionary talent to avert disaster. Review: Issy works for a property development company and has a clandestine romance with her hot and ambitious boss, Graeme. Though she likes her job, she doesn't find it fulfilling and when rumors spread that the company is down sizing, Issy feels at ease that at least Graeme will help her in securing her job. The rug is ripped under Issy's feet when she gets laid off and Graeme breaks up with her. Issy, understandably wallows in her bad luck, but with the nagging from her feisty roommate, she finally musters the courage to move on in her life. She remembers that her fondest memories are of those helping her grandfather in his bakery in northern England. He always told her that bread was life and baking was love, and each chapter opens with one of his recipes. Feeling inspired, Issy finds her dream in opening a bakery/cafe. We follow Issy as she becomes her own boss and establish herself on her own two feet. I loved the humor of this book, especially with the clueless Issy who has no idea about what it means to run a business. Issy wins people over with her warmth and sincerity, which can also be found in her baked goods. There are a wide variety of positive relationships, both of friendship and those of business, that are examined. Even the secondary characters of a single mom trying to make ends meet as well as another woman going through a hard breakup with her child's father that come to life in the story. Along with following her dreams, Issy also gets a second chance at love with Austin, the adorable bank manager who also has his own hands full. I loved watching Issy and Austin together, their hilarious miscommunication always made me smile. Though they are bumps in their romance, I loved how they came together. I just wished their romance wasn't rushed too quickly in the end. I would have loved to see them resolve and talk about their issues. 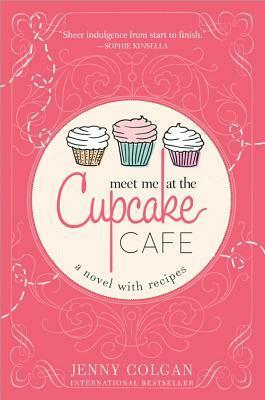 Meet Me at the Cupcake Cafe will have you smiling, laughing, and craving for pastries. While it may not stick with you long after you read it, you will enjoy it while reading it. It definitely hit my spot of wanting a fun and light read. 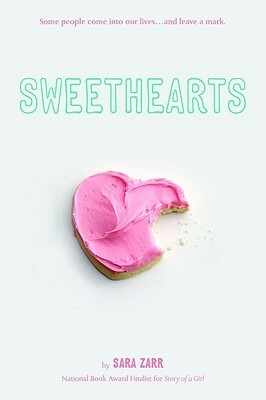 Just be sure not to read this book on an empty stomach because it will most definitely make you hungry. Words of Caution: There is some language and sexual situations of the PG-13 variety. Recommended for teens and adults. Emery Lord's The Start of Me and You was featured in many favorite lists from last year from some of my trusted blogger friends. After reading several glowing reviews, it was high on my reading pile for this year. I'm so glad I found time to fit this book in because I really enjoyed it. Description: It’s been a year since it happened—when Paige Hancock’s first boyfriend died in an accident. 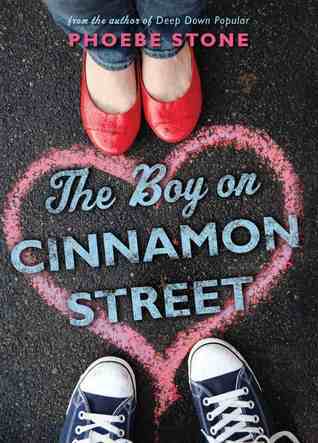 After shutting out the world for two years, Paige is finally ready for a second chance at high school . . . and she has a plan. First: Get her old crush, Ryan Chase, to date her—the perfect way to convince everyone she’s back to normal. Next: Join a club—simple, it’s high school after all. But when Ryan’s sweet, nerdy cousin, Max, moves to town and recruits Paige for the Quiz Bowl team (of all things!) her perfect plan is thrown for a serious loop. Will Paige be able to face her fears and finally open herself up to the life she was meant to live? 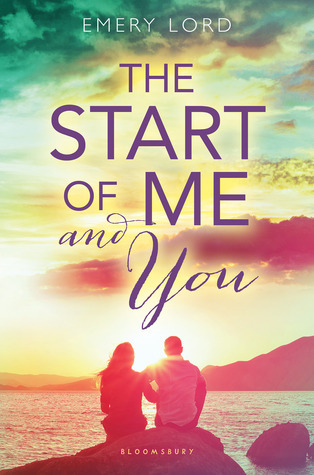 Review: The Start of Me and You is a terrific pick for Valentines Day or any day you are in the mood for a second chance story with a sweet romance and a great cast of characters. Paige Hancock wants to begin her senior year of high school with a fresh start. She is determined to redefine herself one year after her boyfriend, Aaron, drowned. She wants to shake off the label of "the girl whose boyfriend drowned" in her small-town Oakhurst, Indiana. Paige begins with a checklist of things she wants to accomplish: becoming social again, gain more friends, apply for a screenwriting program, and maybe a second shot at romance. I loved Paige. She embodied resilience, strength, yet vulnerability. Her introspective voice made her instantly relateable and you could not help but to root for her. 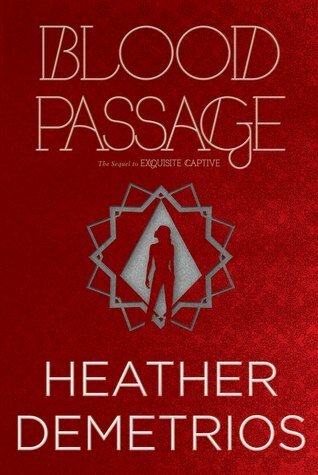 Paige grows throughout the story at her own pace though the road she faces has plenty of bumps and setbacks. 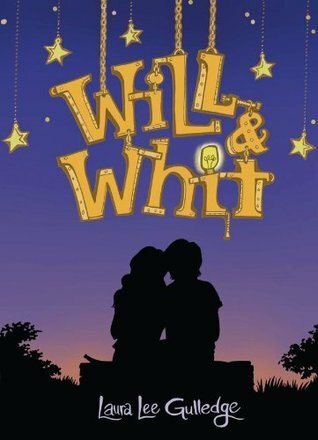 Though tragedy is mentioned in the story, the book is never weighed down thanks to the varied and numerous positive relationships found in the book, whether it is from her own parents who are also starting a new chapter in their own lives to her solid best friends with their unwavering support, and her unexpected romance. The romance in this book was also very cute and slow burning. I did get annoyed with Paige's relentless swooning over the popular and handsome Ryan Chase even when she admitted that her attraction to Ryan was a superficial one. Though Paige has her eyes set on Ryan, Ryan's cousin Max stole my heart. Like Paige, I instantly adored the smart, witty, and adorkable Max Watson. I thought Max and Paige had a lot more chemistry and they suited each other very well, In the end, I was happy with how the book ended, but I would have loved more page time with Paige and Max. The Start of Me and You is not just another book that deals with grief and death. 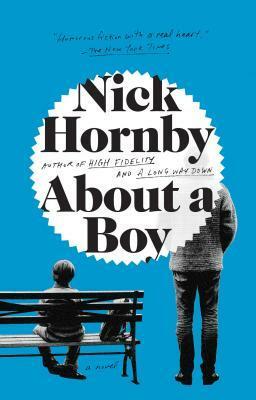 As its aptly title suggests, it is an upbeat story that will inspire teens to persevere during their dark points in their life. I would highly recommend this title to readers who enjoy a romance with depth. Words of Caution: There is some minor language and reference to a teenage party where underage drinking takes place. Recommended for Grades 8 and up. When I met with my student book club last year, we discussed our reading pet peeves. The usual pet peeves that ails bloggers and readers such as the stupid-to-live main characters who don't take any time to actually think before they act, unnecessary series that could have been told much more sufficiently in one book instead of being drawn out in three, but the one pet peeve that stood out was the inclusion of romance. The students didn't mind having a romance or a love interest in the book, but what annoyed them the most is how slowly the romance grew like ivy and took over the entire plot of the book. Inspired by their annoyance, I thought it would be fun to create a book list of books that either a) has a romance but it is not the books main plot or b) contains no romance at all. You know, books that the Grandson from Princess Bride would approve. For Cassandra Leung, bossing around sea monsters is just the family business. She's been a Reckoner trainer-in-training ever since she could walk, raising the giant, genetically engineered beasts to defend ships as they cross the pirate-infested NeoPacific. But when the pirate queen Santa Elena swoops in on Cas's first solo mission and snatches her from the bloodstained decks, Cas's dream of being a full-time trainer seems dead in the water. 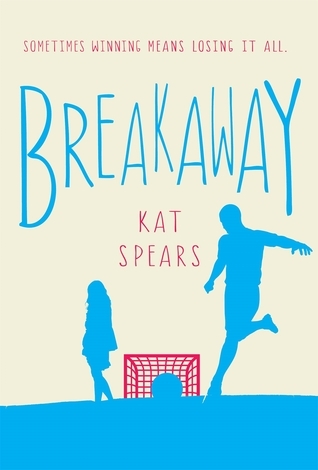 When Jason Marshall’s younger sister passes away, he knows he can count on his three best friends and soccer teammates—Mario, Jordie, and Chick—to be there for him. With a grief-crippled mother and a father who’s not in the picture, he needs them more than ever. But when Mario starts hanging out with a rough group of friends and Jordie finally lands the girl of his dreams, Jason is left to fend for himself while maintaining a strained relationship with troubled and quiet Chick. 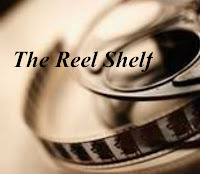 Then Jason meets Raine, a girl he thinks is out of his league but who sees him for everything he wants to be, and he finds himself pulled between building a healthy and stable relationship with a girl he might be falling in love with, grieving for his sister, and trying to hold on to the friendships he has always relied on. As a Chinese adoptee in St. Louis, teenage Daiyu often feels out of place. When an elderly Asian jewelry seller at a street fair shows her a black jade ring—and tells her that “black jade” translates to “Daiyu”—she buys it as a talisman of her heritage. But it’s more than that; it’s magic. 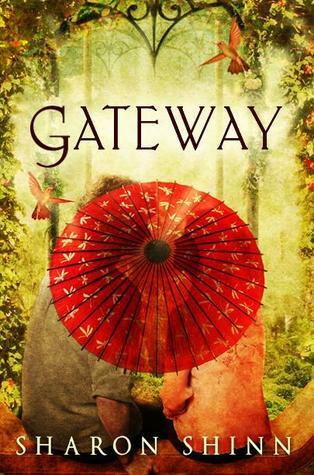 It takes Daiyu through a gateway into a version of St. Louis much like 19th century China. Almost immediately she is recruited as a spy, which means hours of training in manners and niceties and sleight of hand. It also means stealing time to be with handsome Kalen, who is in on the plan. There’s only one problem. Once her task is done, she must go back to St. Louis and leave him behind forever. 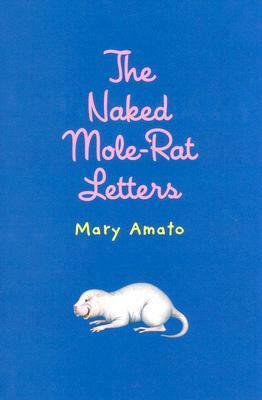 When her father begins a long-distance romance with a Washington, D.C. zookeeper, twelve-year-old Frankie sends fabricated e-mail letters to the zookeeper in an attempt to end the relationship in this story about family, friendship, and growing up. Lily Bart, beautiful, witty, and sophisticated, is accepted by "old money" and courted by the growing tribe of nouveaux riches. But as she nears 30, her foothold becomes precarious; a poor girl with expensive tastes, she needs a husband to preserve her social standing and to maintain her life in the luxury she has come to expect. While many have sought her, something—fastidiousness or integrity—prevents her from making a "suitable" match. There are a lot more titles that fit this criteria, but these are the titles that stood out for me. Have you read any of these books? Do you think they fit? Let me know in the comments! Description: As a half-Japanese, half-Italian girl with a ridiculous name, Amber’s not feeling molto bene (very good) about making friends at her new school. But the hardest thing about being Amber is that a part of her is missing. Her dad. He left when she was little and he isn't coming back. Not for her first day of middle school and not for her little sister’s birthday. So Amber will have to dream up a way for the Miyamoto sisters to make it on their own. 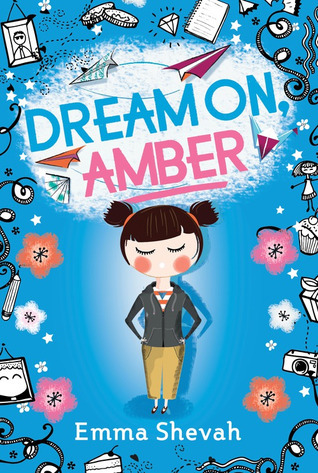 Review: Dream On, Amber is a poignant coming of age novel about navigating middle school, awkward friendships, a budding first crush, an intimidating bully, and the realities of being a biracial tween in a single family home. The book does a great job in handling all of these issues with humor, heart, and also introspection without making the story sapping or its characters wallowing in self pity. Amber is the star of this book and it didn't take long for me to adore her. Snarky, artistic, and an introvert, Amber is not the easiest person to get to know. She has a chip on her shoulder, feeling a bit different than her peers in South London. Her biracial status, half Italian and half Japanese, make her exotic in the eyes of her peers and she is constantly confronted with racial insensitivities such as "say something in Japanese." Her loving and free-spirited mum; maternal grandmother, Nonna; and rambunctious little sister, Bella, keep Amber on her toes and feel loved. Along with the dealing with the anxieties of starting middle school and all that comes along with it, Amber reveals that her her sadness is from her absent father. Amber's father left the family when she was six, and it's a loss that feels like a "black hole." Amber's black hole grows even larger when she and Bella witness an innocent father-daughter moment in the park. Amber knows she may not get to have that father-daughter moment ever, but she is determined to protect her younger sister from the pain she feels. When finds out that her sister is writing to her father and wants Amber to deliver her letters to the post office, Amber begins forging letters from her father to Bella. The letters are heartbreaking to read and while we may not morally support Amber in how she handling the situation, we can definitely empathize with her. Things quickly spiral, and what seemed like a white lie intended to help may wind up causing more harm than good. Amber comforts herself and works through her insecurities through her artwork and by creating an imaginary "Dream Dad" with whom she shares her deepest fears. Amber's authentic tween voice will resonate with readers, both younger and older, who have ever felt like an outsider. The conversational first-person narration is enhanced by black-and-white doodles throughout. While I would have liked to get more information as to what happened to her father, Amber does have significant character growth and is on her way to be more comfortable in her own skin. I have read numerous glowing reviews for Illuminae, a new science fiction series by Amie Kauffman and Jay Kristoff. Since I didn't get a chance to read it last year, I made sure to finish it early this year. Description: This morning, Kady thought breaking up with Ezra was the hardest thing she'd have to do. This afternoon, her planet was invaded. The year is 2575, and two rival megacorporations are at war over a planet that's little more than a speck at the edge of the universe. 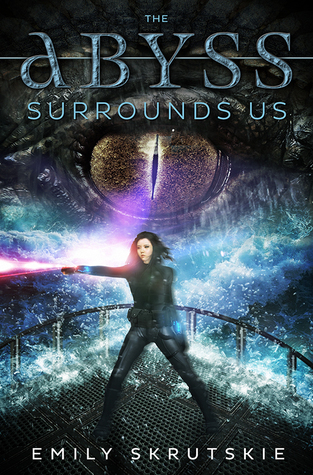 Now with enemy fire raining down on them, Kady and Ezra--who are barely even talking to each other--are forced to evacuate with a hostile warship in hot pursuit. Review: Illuminae pushes the boundaries of what makes a novel. Told exclusively through interviews, chat logs, reports, emails, and security footage. While this format is very unique, it did take me a while to get into the story and figure things out. I did, however, really enjoy piecing the information together along with the characters. 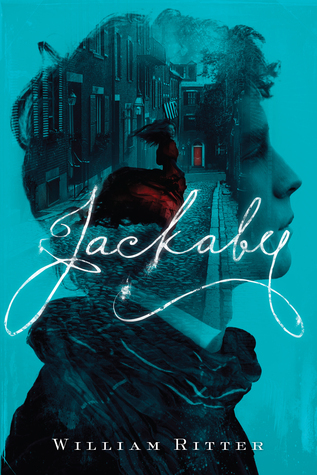 The different format did allow clues sprinkled throughout the book as well as build suspense throughout the book when time was running out for the characters. Sharing tropes and ideas from classic science fiction writers, Illuminae is an exciting ride. Kady and Ezra just broke up. On the same day, their planet is viciously attacked and they are separated on two different space vessels. Though their romantic relationship is a rocky, they both want to escape destruction, retaliate, and maybe give each other a second chance. There is never a dull moment and the book's fast paced keeps you flipping through the pages to see what new information the characters uncover. This first book in a trilogy is simply a long briefing report about the mining colony attack and its aftermath. All of the myriad of documents tells a different part of the story, even parts that are censored or in code. Speaking of censoring, I did find it annoying to have majority of the profanity censored. It made my reading pace a bit slower trying to find the right word so I could read the sentence coherently. I found the use of the Artificial Intelligence really clever. 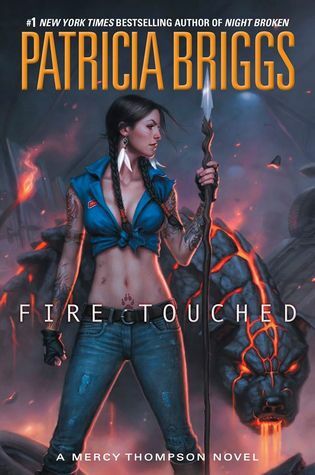 The book is mainly plot driven, but I would have liked a little more of character development of the main characters though we are starting to see them stand on their two feet. Illumiane hints at romance and it reminded me a bit of what I remember of watching Kubrick's 2001: A Space Odyssey especially with the inclusion of the AI. Given its unique format, I can definitely see this book attract a wide variety of readers, those who obviously enjoy science fiction, but others who enjoy conspiracy and survival stories. 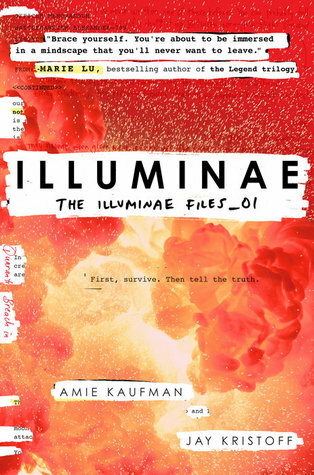 I had a lot of questions while reading Illuminae and though it doesn't offer any answers, it left me plenty interested in seeing where the story will go next. Words of Caution: There is strong language, most of which are censored/blocked off in marker. There is also strong violence throughout the book. Recommended for Grades 8 and up.